How voice-recognition technology will change the way we listen to radio. In other words, according to Olbermann, the curated magazine show is dying. What Olbermann said about SportsCenter could also apply to the future of NPR. If people are talking about the demise of a once-dominant TV show like SportsCenter, we should probably be having that same discussion about audio giants Morning Edition and All Things Considered. The same principles apply: The audience for those shows is aging and declining, and news of all kinds is available at a pace that was unthinkable even 10 years ago. And as Olbermann pointed out, the desire for the “leisurely, well-done” show is very much on the wane. There’s almost nothing more leisurely and well-done than an NPR news magazine. I executive-produced Weekend All Things Considered for four years. And while I loved the work, the constraints of the magazine format were frustrating. The time had to be filled, no matter the quality of the stories. I believe the journalism NPR produces is important and serves the public good. I also believe that 15 years from now, those stories won’t be delivered by appointment and in that magazine format. In a decade and a half, if not sooner, voice recognition technology will vastly diminish, if not outright kill, the daily radio news show. Today, radio consumption is frictionless. You get in the car, push a button, and there it is. People listen to the radio without thinking, which is what radio stations count on. Listening to on-demand audio takes a little more determination. You have to scroll through your podcast aggregator or subscription audio service, like Spotify or Audible, then tap a few buttons to create a playlist and wait for it to connect to whatever device you’re carrying to your car’s Bluetooth. 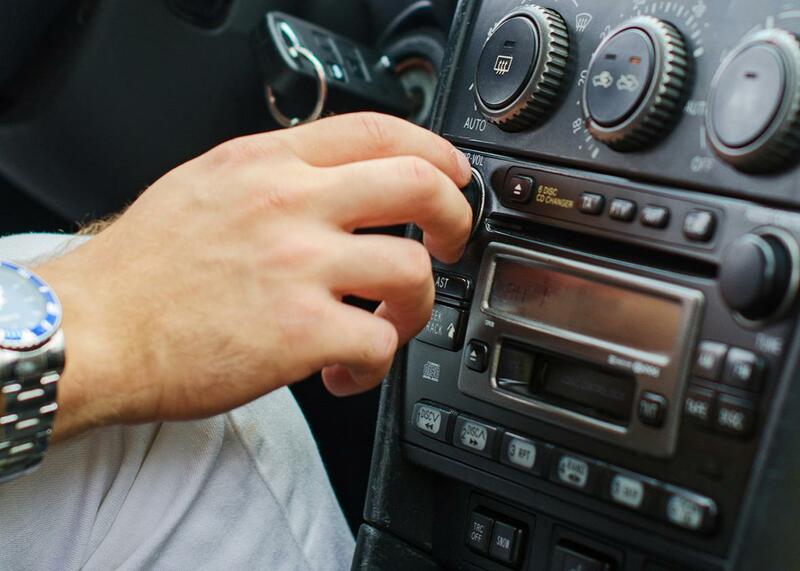 Granted, this process isn’t as cumbersome as it used to be, but if listening to your car radio is like buying a cake with icing, then on-demand audio is like buying a cake you have to ice yourself. Here’s what I think the future sounds like: You will get in your car and say, “Play my news briefing, plus all of last night’s baseball scores, including highlights from the Yankees game. Oh, and give me last week’s Vows column from the New York Times.” Then, like magic, your audio system will assemble this playlist. That news briefing you asked for? It will come from sources you pre-selected, places like NPR and news organizations yet to be created. If you don’t know what you feel like hearing, you’ll ask your system to surprise you. If you don’t like what you hear, you’ll tell it to skip to something else. No, it won’t sound the same as Morning Edition and All Things Considered, but you will get the information you want when you want it and in the order you want it. And with nothing you don’t want. Even breaking news alerts will be tailored to your interests. In the audio future, you’ll never have to hear a story you don’t care about again. But what about discovery? Isn’t it important to know the news of the world, whether it interests you or not? I think that’s important, but millions of people younger than me do not. It doesn’t mean they’re stupid or don’t care about the world around them. It means they have specific interests and passions, and NPR’s current content delivery system doesn’t satisfy those passions. NPR’s streaming app NPR One is the closest thing we have to a news magazine killer. The app mimics the curation of a news magazine show, the only difference being that you can skip a story you don’t like. NPR claims the app will “learn” what you like based on these skips, but you can’t eliminate stories, nor can you program NPR One to specifically match your interests. You can listen whenever you like, but you’re still being force-fed stories by people who think they know what you want. Even so, NPR One is the blueprint for the on-demand future. As soon as it takes requests, it will make the NPR news magazine seem like a relic. For NPR and other traditional audio and visual media outlets to survive, they’ll have to find a way to create content that isn’t delivered at a specific time and isn’t in the format of a show. There will still be a place for traditional shows in our buffet-style audio future. Shows fronted by distinctive personalities—think Howard Stern and Marc Maron—will always have value, as will ones with a specific point of view. But it’s hard to imagine that the formal magazine format will survive. In this new on-demand world, NPR will be as important as ever—perhaps moreso. People will always want to hear the news, and NPR’s problem isn’t its journalism; it’s packaging. In the future, what possible motivation will listeners have to tune into a radio news magazine, with all of its programming eccentricities, when they can assemble the show they want as effortlessly as they can speak it? As soon as NPR recognizes that fact, it will be well-positioned to serve up the audio buffet that the next generation of radio listeners is desperate to hear.